Michelle Sweet, 53, died Thursday at Maine Medical Center in Portland after having been seriously injured in the fire on Hilltop Drive in Skowhegan on Dec. 5, authorities said. 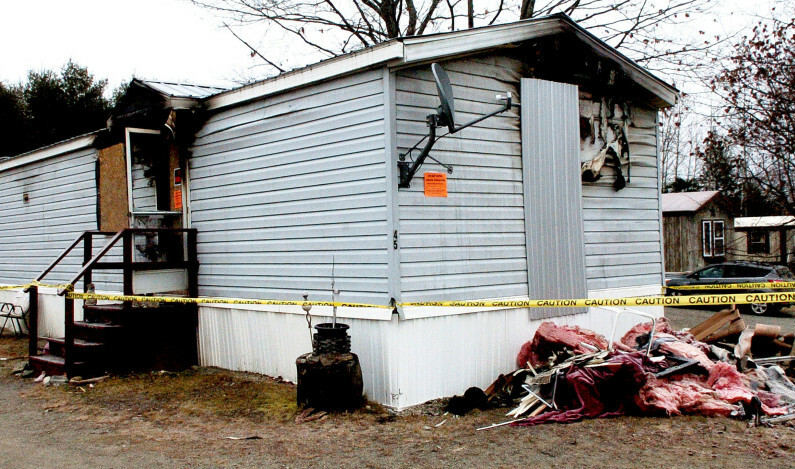 A Skowhegan woman whose mobile home burned Dec. 4 after she ignited an oxygen blaze while smoking has died, according to a press release from the Maine Department of Public Safety. Michelle Sweet, 53, died Thursday at Maine Medical Center in Portland after having been seriously injured in the fire at 45 Hilltop Drive in Skowhegan, according to the release issued Monday by Steve McCausland, spokesman for the department, citing the state fire marshal’s office. Sweet had escaped the mobile home at Riverside Terrace in Skowhegan and was found outside near a car, the statement says. Her mobile home was destroyed by the fire. At the time, Skowhegan fire Chief Shawn Howard said state fire investigators determined the fire started when Sweet lit a cigarette, which ignited the oxygen. Her injuries included internal burns and smoke inhalation, Howard said. He said fire officials had done training last winter on that scenario, involving smoking and oxygen. Howard said at the time that Sweet’s injuries included internal burns and smoke inhalation. Sweet was able to get out of the house and was found outside near a neighbor’s car just after 2 p.m. on Sunday, Dec. 4. She was taken by Lifeflight helicopter to Maine Medical Center. Sweet’s death was the 20th fire death in Maine this year, according to state officials. The fire was the second fire in just three days that severely injured Skowhegan residents. On Dec. 4, Andrea Curtis, 24, and her son, Tyler Curtis-Benson, 4, were rescued from their mobile home off North Avenue by Skowhegan police Officer Tim Williams, who was the first at the scene and is being credited with saving their lives. Curtis and her family lost everything in the fire that destroyed their home. Brian Curtis, father of Andrea Curtis, said Monday that his daughter remains in critical but stable condition, while Tyler “is back to his usual self and he’s doing great” following treatment at Shriners hospital in Boston. A benefit supper on Saturday hosted by Kennebec Valley Inn in Skowhegan raised more than $3,000 for the Curtis family, Brian Curtis said. A GoFundMe page set up for the Curtis family had raised nearly $10,000 by Monday toward a $20,000 goal.